Every year, we analyse the current attitudes and trends shaping pedagogy, with insight from over 1,600 educators in the UK. 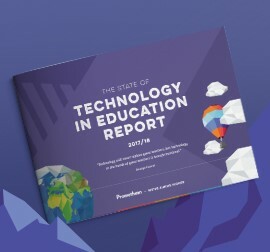 Download your copy of the report for the latest information on educational technology. Discover how 63% of teachers are now using tech to track pupil assessment across the curriculum, although it’s still mostly used in STEM classes. More than 50% of learning time in UK classrooms is now spent using technology, despite our research revealing a 5% drop in use since 2016. Do you know your teacher tech grade? 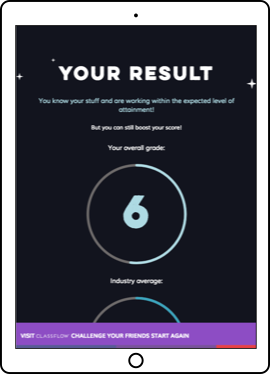 Take our short survey and find out how your grade compares to the average across the industry.